There is nothing we love more than cooking with the highest quality ingredients. It can completely transform a menu and the experience of eating, which is why we carefully select our ingredient suppliers when planning our suppers. There is also nothing more important to us than working with businesses that share our principles. For our recent Ibiza-inspired feast, we used the best in the industry and one of our absolute favourites - Belazu Ingredient Co. Their top quality delicious ingredients complemented our Lebanese and Mediterranean-inspired menu perfectly. We even used their amazing Balsamic Vinegar in our dessert, creating mini balsamic and honey black fig pavlovas! One of our many sharing 'mezze' starters was this Butter Bean and Chermoula Dip, made using Belazu's finest coriander, cumin and lemon Chermoula Paste. Swirled through the puréed butter beans, it added a beautifully spiced and tangy finish to the dish. We've shared our recipe with you here - it's so incredibly easy to put together, and a perfect dinner party crowd pleaser. 1. Place the butter beans, tahini, garlic, lemon juice, olive oil and cumin in the bowl of a food processor, and pulse to form a chunky paste. Season to taste with salt and pepper and a little extra tahini or lemon juice if needed. 2. 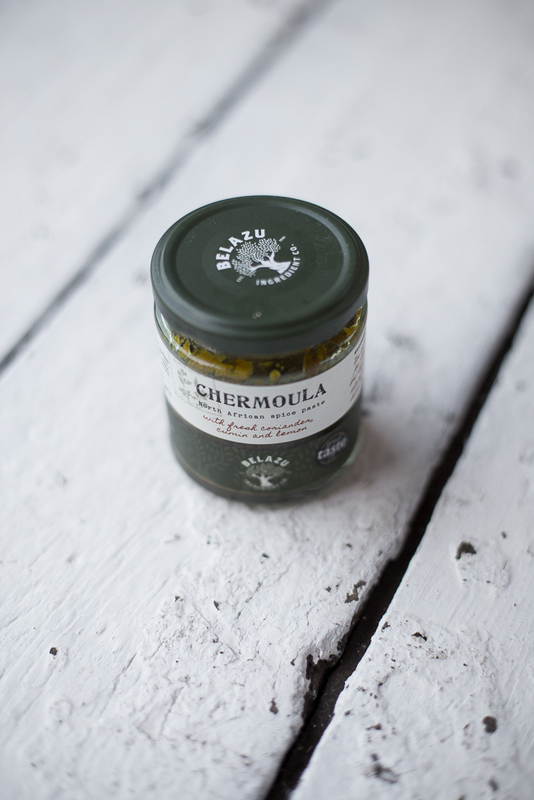 Spread the dip onto a plate, and swirl the Belazu Chermoula Paste through with a spoon. 3. Top with crushed hazelnuts, an extra drizzle of Belazu Early Harvest Olive Oil, and enjoy with homemade flatbreads.